What better way to enjoy the monsoons than with a cup of hot beverage. 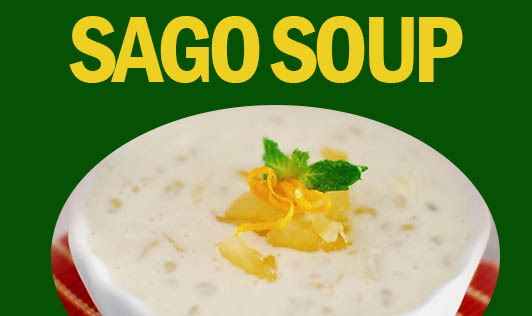 Enjoy this thick sago soup flavored with soya and lemon, and cooked with carrots and onions on a cold rainy day. It is sure to lift your spirits up. This turns out to be a wonderful recipe when the soya sauce, lemon juice, and sugar are well balanced. 1. Mix the vegetable stock and sago together in a pan. 2. Simmer for 5 to 7 minutes till the sago turns tender. 3. Add the onions and carrots, and simmer again for 3 to 4 minutes. 4. Add the soy sauce, lemon, sugar, pepper powder, and salt. 5. Serve hot, generously garnished with spring onions and coriander.